Hey guys I have an extensive email list reaching well into the thousands of individual customers from the past few years of sales online. 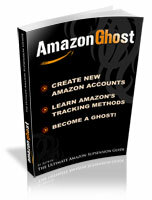 I want to capitalize on this list through affiliate marketing. Problem is, I only have the email list.. I do not have a website to advertise through. When I research affiliate marketing, it seems the most popular way to make money off of this is to advertise related products through your own website that generates traffic. Like I said, I do not have a website, so I was thinking of "cold emailing" customers with affiliate links in the email to these customers who have bought from me in the past. I sell almost exclusively clothing, and so far I have found a couple affiliates through click bank that are clothing related. Does anyone know where I can find more quality, clothing-related products to market? Also I want to make a professional looking email to send. Anyone know where I Can find templates or have any suggestions for making my email look appealing, palatable, and attract customers to read the whole thing? In regards to my plan of "cold emailing," what type of results should I expect? Am I wasting my time? Can I expect some money to flow in? I'm totally new at this and was hoping I could find some suggestions or guidance. Thanks to anyone who gives their input! Why not try a Shopify?somple steps ,while researching for better options :buid your shop,and invite your list to visit you. why dont you get a domain name and make a website. its cheap and easy these days. Selling on ebay has been more of a side thing, it is not something im looking to scale into a website. i do not have steady enough of a supply and do not want the accountability that comes with becoming an authorized reseller of the different brands i come across through a website. Too much of a hassle for me at this point. I was hoping it would be simple and lucrative enough to just go off my email list. why not make a ebay shop and email your list to go back to your ebay shop to visit your other products? what you planning to do ( sending cold email to clickbank product ) is a 100% waist of time, you will get banned by your email provider for spamming, if not all your email will end up in junk folder. Those are interesting points you bring up. Sorry if this is a stupid question, but when I purchase something from a website and get advertisement emails periodically afterwards, how is this different from advertising throufh email to customers? when you buy something from a website, you most likely subscribe to their email list somewhere along the way. so that makes it ok for them to send you further emails/advertisements. Right, I guess what I'm asking is how does the email provider that you are using differentiate between cold emailing and you sending emails to subscribers of your website when trying to block you as spam? Is it because of people who report you as spam? And also, how does a website with emails from a subscriber list prevent their email marketing from going into the recipients junk folder? Thank you green Lion for your responses.